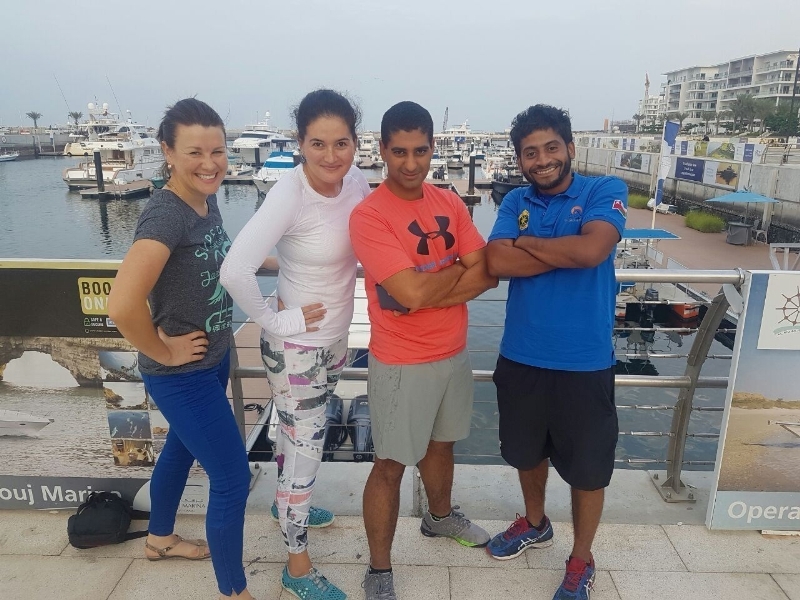 DUBAI, UAE: PRNewswire: Spurred by ub-cool co-founder Medina Ilyassova, an epilepsy survivor, the ub-cool team will take part in the Spartan Race in Muscat, Oman on October 21 to raise epilepsy awareness. Having been the victim of epileptic bouts for over 14 years, Medina Ilyassova knows the strength it takes to deal with and overcome epilepsy. Now, the ub-cool co-founder will lead her team in demonstrating strength, endurance, and perseverance at the Spartan Race in Muscat, Oman on October 21, 2016. Epilepsy is a group of neurological diseases characterized by epileptic seizures, which can range from brief and nearly undetectable episodes to long periods of vigorous shaking (wikipedia.org/wiki/Epilepsy). After suffering from uncontrollable epilepsy for over 14 years, Medina Ilyassova underwent risky brain surgery two years ago. Now epilepsy-free, Ilyassova’s lifelong goal is to raise awareness about epilepsy and educate society about this condition. The Spartan Race is a series of physical obstacles that the participants must overcome. By participating in this difficult challenge, the ub-cool team hope to inspire others to overcome their own obstacles and grow to become stronger people. “Epileptics are the same as you and me. They go to school, they have families and jobs, they become successful artists, entrepreneurs, athletes, politicians. Epileptics can run marathons, become Olympic champions and even presidents,” says Ilyassova. Share your challenges with the ub-cool team on Facebook, and watch Ilyassova’s epilepsy challenge video. Ub-cool.com is a young, innovative and user-friendly online adventure booking platform. Our goal is to provide travelers with the most accessible and cost-effective way of booking the broadest selection of COOL adventures, with offers ranging from the main adventure highlights like city bicycling and snorkeling to exclusive “off the beaten path” experiences. We simplify the adventure booking process, making it fast and easy for both sides. Subscribe now to discover 500+ adventures in over 50 countries!